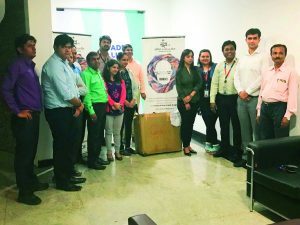 In February 2018, Candor TechSpace joined hands with Goonj, a well-known NGO, to send woollens and other necessities collected from its campus in Sector 21, Gurugram, to the underprivileged. While most of us have blankets and woollens that help us to brave the cold in winters, for people who are deprived of basic facilities, the season can be quite harsh. In order to spread warmth during the cold days, Candor TechSpace partnered with Goonj, one of India’s leading NGOs, to donate woollens and other necessities to the poor. The donation drive was conducted from 5th to 19th February 2018, under the NGO’s ‘Odha Do Zindagi’ campaign, which aims to encourage city people who are living in the warm comforts of their homes to donate their underused woollens, blankets, clothes and other basic necessities. After a meticulous procedure of value addition, these things make their way to rural India in the form of ‘winter kits’. But these kits are not given to the people in the villages as charity. Instead, villagers are required to take up work related to a variety of community development issues. After the successful completion of their job, they receive these kits as a reward for their work. Candor TechSpace made an appeal to the occupants of its Sector 21 campus in Gurugram to be a part of the campaign and contribute to it. 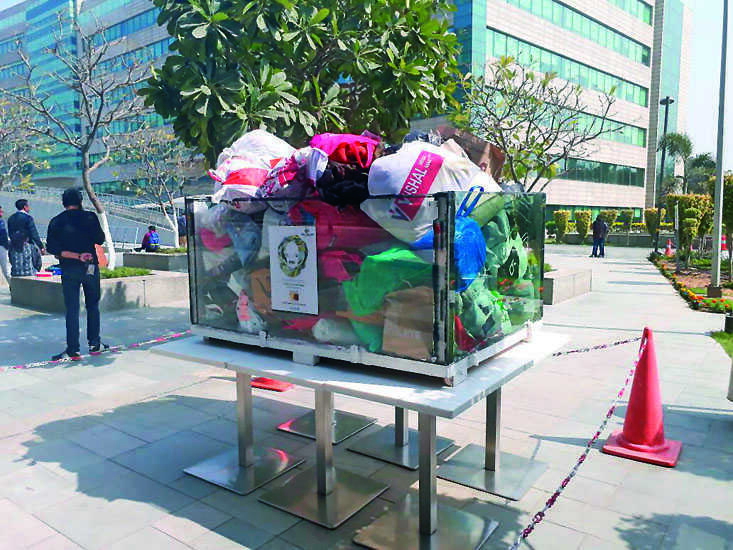 Boxes were placed at prominent locations within the campus for collection purposes. Bank of America, one of the occupants of the campus, actively participated in this campaign and also organised a donation drive internally. The response was overwhelming: 100 cartons of woollens and other necessities were collected. 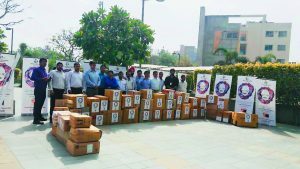 The truckload of contributions was then flagged off to the Goonj office in New Delhi. The Goonj team have assured Candor TechSpace that the donations will reach the needy. They have also conveyed their gratitude to the donors for their thoughtfulness behind the act.